In light of the Great Commission, we need to expect that those pursuing long-term missions will encounter obstacles. Which obstacles have you faced? How have they refined you and prepared you for the journey you are now on? 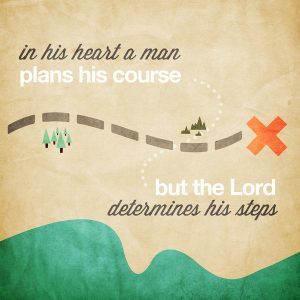 Lord, you establish our steps (Proverbs 16:9). Help us lay aside our own plans to make room for what you’re asking us to do, whether that means going or waiting; mourning or rejoicing. I’m in that place today. I’ve made plans but am learning to trust the Lord’s timing. Au and I are praying with you for the Lord’s timing. Thank you Au and Eunice, for how you model waiting well. I thank the Lord that he granted you to be here with your mom on that last leg of her journey home. What a precious gift! I now join you in praying expectantly for how he will direct your next steps!